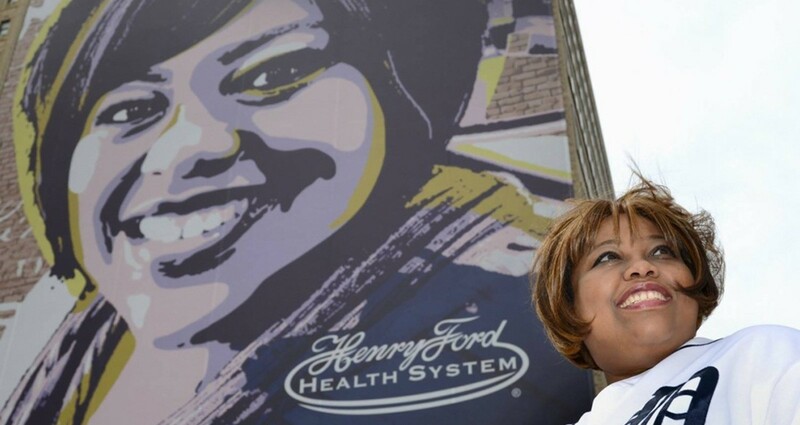 This outdoor branding piece was created to celebrate the story of real Henry Ford Health Systems patient Nestelynn Gay, a long-time Tigers mega-fan who was diagnosed with terminal brain cancer. With the highly individualized care and expertise of HFHS doctors, Nestelynn made a full recovery. This piece overlooked Comerica Park, bringing Nestelynn's presence into full view of the thousands of spectators migrating to the arena for the annual season opener. Client approached the agency team with a massive piece of blank wallspace situated directly across from Comerica Park, home of the Detroit Tigers. Client wanted to take advantage of the traffic increase by creating a high-profile presence during the season opening. My partner, Nick Najawicz and I pitched the idea to feature a real patient with an inspiring story to prove that HFHS is truly all-in for their patients, as opposed to creating a run-of-the-mill billboard ad. 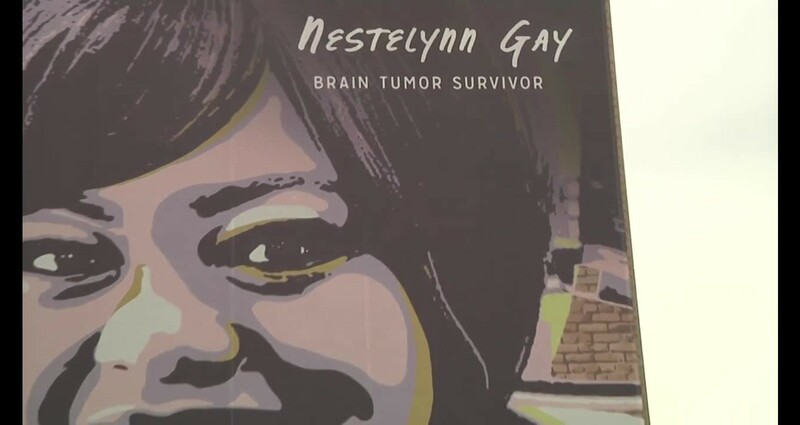 When we heard Nestelynn's story and how much she loved the Tigers, we knew she was the one to feature. We were pushing to have a real mural painted in the space and contacted a few local mural artists, aiming specifically to use a local artist to celebrate the city and Henry Ford's devotion to its citizens. Unfortunately, our timeline was very tight from the get-go, we had some logistical problems with getting an artist safely to the space, and we were also at the mercy of highly unpredictable Michigan weather. Our solution in the end was to create the art in-house and have it printed and hung instead of being painted.